This article describes the journey of PYP exhibition – from the start and through the high and low points during its course. The students chose an area of their interest within the broad expanse of the world of technology to conduct in-depth research. The fact that PYP provides such systematic way of how research should be done through various lines of inquiry is truly amazing. Often when we research about any topic, we tend to lose direction which leads to enormous amount of data but not information. I was pleased to see the students looking for information based on the concept questions which came out during their brainstorming sessions. In short, research had some milestones or checkpoints that came out from the students during their discussions with the mentors. It was a self-directed learning process where each student participated as per his/her level and was pushed to think further. During the PYP exhibition, these fifth graders collaborate in a group to take the process forward. Initially we struggled to shape the route map because the students were used to an atmosphere of being directed, which they assumed would happen here as well. But they were now free to decide the tools, the means of presentation, etc which further helped them to take ownership of their work. Also, we faced a few challenges which I feel were catered so well by our PYP coordinator. I remember at a point when I myself felt “what next?”, when our PYP coordinator pitched in to guide the students in taking their process forward. I believe the PYP curriculum challenges you at every point and makes you give your best in all you do. I had the exhibition group which had taken robotics as their area of specialization. It started well but then the students started losing track as they began to explore all the possible information available to them. But based on the lines of inquiry, these students decided to explore a few specialized systems where robotics work, like industries and war fronts. The students became very excited when we prompted them “what will you do with what you have learned?” as a means to direct their thinking towards taking action. They immediately started looking at options for making a workable robot. They became so engrossed in learning how to build robots with the help of the robotics teacher that there was no looking back. The students successfully made three workable robots: a paper and dust cleaning robot, a tank robot and an industrial robot to pick up small objects. The final day of the PYP exhibition was the culmination of all the effort and long working hours for the students and teachers. The students demonstrated the ability to conceptualize and complete a project along with the extensive learning which happened during the exhibition. I am sure this experience will be a lifelong achievement for these students and support them to become successful human beings. I am so grateful that the PYP creates opportunities for students to grow from their own experiences and allow their creativity to unfold. 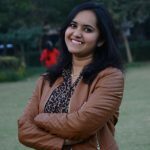 Kirti Trehan, Primary ICT Educator in Pathways School Noida. She has taught ICT for the past 7 years in various national and international schools, empowering the young learners with the skills of ICT – her passion. She loves to see students using technology in a prolific manner to widen their horizons of learning. You can follow her on Twitter @KirtiTrehan. Even I felt the same. This is my third year doing exhibition. It is completely a roller coaster ride. The best part in doing exhibition is to give students an opportunity to think freely, out of the box things and get the freedom to take long-term actions on their chosen issue. Even giving them the freedom to design their own assessments is another best part of doing because here you got to know how many ideas they have on which they want us to assess them. I agree, the Exhibition is a roller coaster ride but it’s a constructive ride too. I liked the comment ‘ we struggled to shape the route map because the students were used to an atmosphere of being directed’.. Yes this is indeed a challenge. It is a self-directed process with teachers facilitating the process and with students who do not have skills to partake in exhibition, it can be a bumpy ride for all. Preparing 5th graders for the exhibition starts in Pre-k and kindergarten. The essential elements of the PYP need to be developed and reinforced throughout a student’s elementary years. Fifth grade students who are mature and have the skills needed for exhibition- find it challenging themselves. How much more for students who are not emotionally, socially and academically ready for the process?. I believe that in 5th grade the preparation process starts at the beginning of the year. Then again. If you an entire new 5th grade team with teachers who are new to PYP and have never been involved in exhibition it becomes demanding on both teachers and students- who both need support. As you go through each phase of the exhibition, I think no matter your experience with exhibition, you breathe a breath of fresh air and move on to the next phase. I liked your comment :‘It started well but then the students started losing track as they began to explore all the possible information available to them’, then added ‘ The students became very excited when we prompted them “what will you do with what you have learned?” as a means to direct their thinking towards taking action.’ I think this questioning/prompting is so important to keep students on track with the research and next steps. Exhibition is a valuable process to all learners- new and experienced. At the end of each exhibition I have mentored or guided, the students always say that it was hard work but extremely rewarding. Ye, it is a roller coaster ride but an exciting, gratifying and memorable ride for everyone involved. I really enjoyed reading about your experience. This is my first year in PYP and with exhibition. What were some of the strategies you used in order to change/develop the “route map” since you mentioned your students were used to being directed? This is currently one of my issues with my current class and I would like to start changing that! Leave a Reply to muhammad Click here to cancel reply.